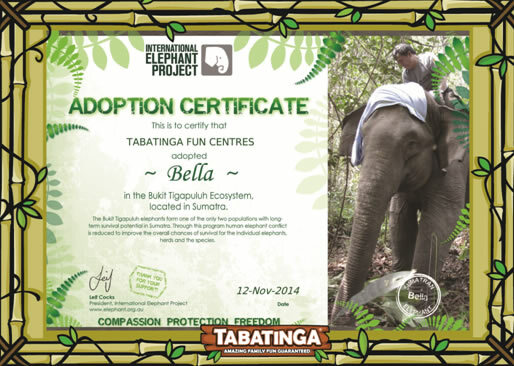 Home / The Experience / How We Do Our Bit! 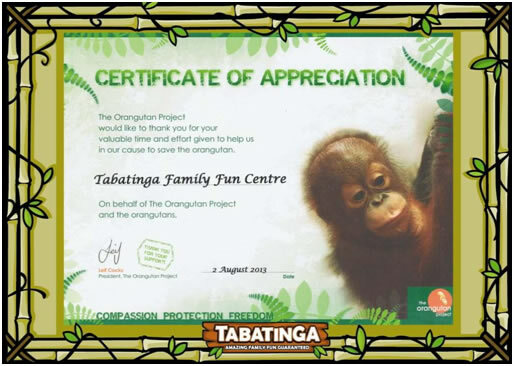 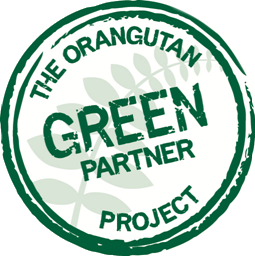 Tabatinga Family Fun Centre is proud to partner The Orangutan Project in their efforts to save the critically endangered orangutan in the Indonesian rainforests. 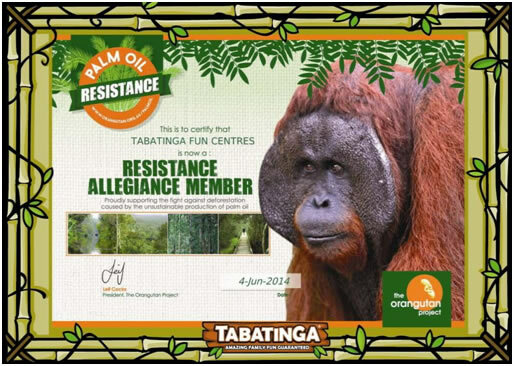 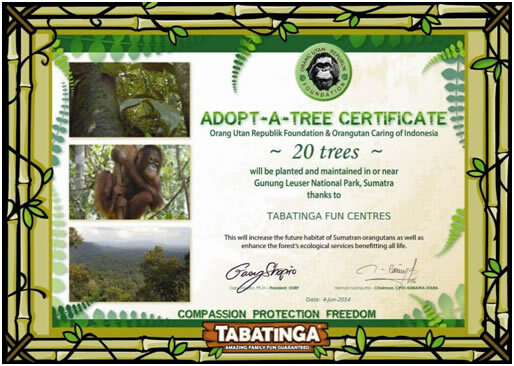 Apart from the adoption of several orphaned orangutans, Tabatinga has also supported their Adopt-a-Tree campaign, their Palm Oil Resistance program and their Adopt-an-Elephant project.